Dr. Wallach is a Board Certified plastic surgeon with an M.D. from New York University School of Medicine, and a B.S. from University of Pennsylvania. 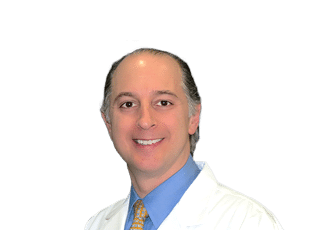 Board Certified by the American Board of Plastic Surgery, Dr. Wallach is a past President and former member of the Board of Trustees of the New York Regional Society of Plastic Surgeons and has been featured in New York Magazine’s “Best Beauty Docs” issue as one of the field’s sharpest talents. He is a member of multiple prestigious medical societies, including; the New York Regional Society of Plastic Surgeons where he served as a Trustee and as President in 2008, and The American Society for Aesthetic Plastic Surgery where he served as the Body Contouring Committee Vice-Chairman and the Teaching Course Committee Chairman, as well as the American Society of Plastic Surgeons. He is also an editor for Plastic and Reconstructive Surgery, the aesthetic section editor for the Plastic Surgery Educational Network, and is a former editor for the Aesthetic Surgery Journal. Dr. Wallach has written multiple professional articles and given extensive presentations on the topic of aesthetic plastic surgery, and because of his high esteem in this field, he has been regularly quoted in prestigious consumer publications such as Vogue, Elle, Glamour, Instyle, O:The Oprah Magazine, Newsweek, New York Magazine, Family Circle, Latina and Shape. Dr. Wallach has three children and enjoys fishing, golf, jogging, and crossword puzzles.